Dr. Dorian Mintzer, owner of RevolutionizeRetirement.com, a retirement coaching firm, was recently quoted as an expert in a March 2015 article by Anne Tergesen in The Wall Street Journal. The article, A Guide to Not Retiring, notes that some people who are nearing retirement age simply don't want to leave their jobs. However, defying expectations can be difficult both in the office and at home. For the retiree, it means bucking many people's expectations or possibly sparking resentment and misunderstanding. Essentially, retirees must be able to look at their own abilities and actions, to make sure they are equipped to maintain the standards they had set for themselves in a very different era. Average retirement ages are climbing, and nearly half of baby boomers say they expect to work until age 66 or beyond, according to Gallup Inc. polls. Driving the trend, economists say, are highly educated workers in professional-services jobs who are sticking around by choice, rather than due to economic distress. Once people make the decision to keep working, they should compare notes with their spouse. Remaining on the job may make all the sense in the world to the person who has decided against retiring, but it's important to sort out tough topics including money, age differences, job satisfaction and hopes for the future. Mintzer notes, "It's important not to present your spouse with a 'fait accompli.' Sure, there's a chance your partner will welcome your decision to keep working. But there's also a chance he or she will be disappointed that you won't be available to travel or see the grandchildren, or incensed that you made a momentous decision and didn't bother to consult with him or her." "If your spouse feels disappointment at your decision," adds Mintzer, "find a way to negotiate working a little less, if only by working from home one day a week and devoting the time saved on commuting to doing something together. The key is to begin taking each other's needs into account, to hear what's important to each other and to come up with a plan to keep talking, if not to compromise." Mintzer, M.S.W., Ph.D., B.C.C. (Board Certified Coach) has written about many topics pertaining to the second half of life and aging. She speaks to professional and community groups. As a coach, she helps 50-to-70 something women, men, and couples reinvent themselves in the next stage of life. 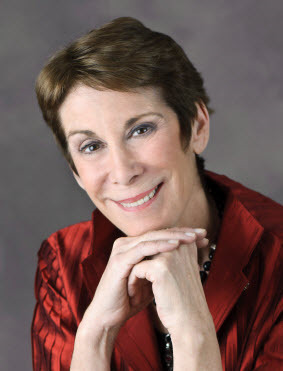 She's the founder of the Boomers and Beyond Special Interest Group for interdisciplinary professionals, and the 4th Tuesday Revolutionize your Retirement Interview with Experts Series for professionals and the public. She is co-author of The Couples Retirement Puzzle: 10 Must-Have Conversations for Creating An Amazing New Life Together and has also contributed to Not your Mother’s Retirement, Live Smart after 50!, 65 Things to do When you Retire, The Six Secrets to a Happy Retirement, 65 Things to do When you Retire: Travel and 70 Things to do When you Turn 70. Mintzer combines her personal and professional experiences as a therapist, coach, teacher and speaker with her expertise in adult development, positive psychology and holistic life planning as she works to help people navigate the second half of life. She uses her energy, enthusiasm and passion and creates a dynamic learning environment that energizes and inspires her audiences and her clients. She has a deep belief in the capacity of people to develop a "realistic optimism" about aging and create purpose and meaning in "the second half of life." She’s been featured in a variety of media such as the WSJ, NYTimes, USAToday, Washington Post, NPR, ABC Evening News and the Today Show.